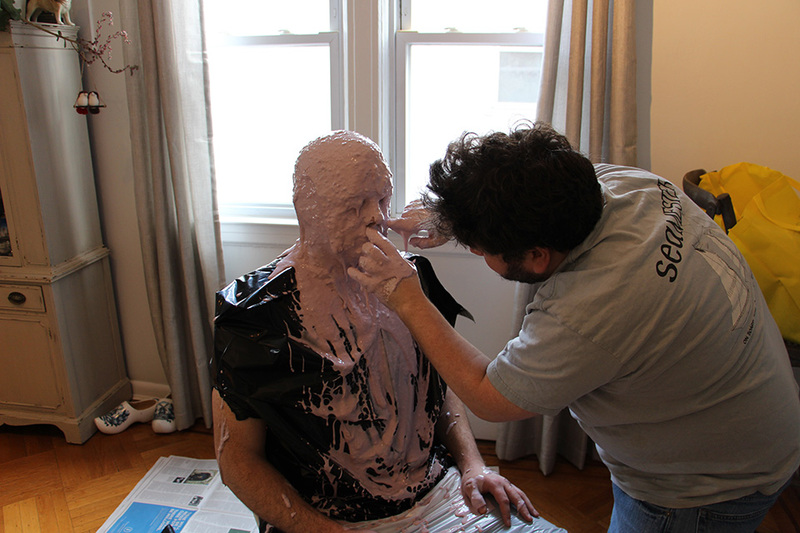 When Mark Gessner agreed to play the part of Norman Pinski, I don’t think he realized that we would need to make a full cast of his head in order to create the monster’s prosthetic. 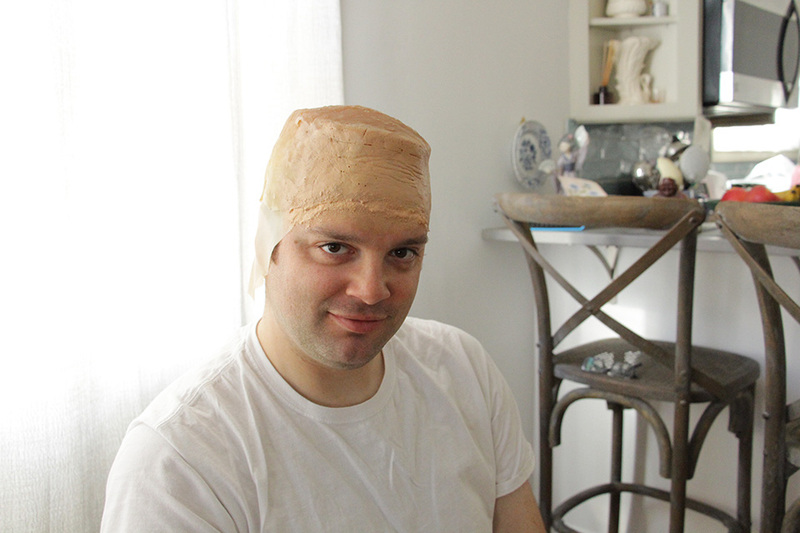 Despite his unease with having his entire head encased in plaster with two tiny air holes for his nostrils to breathe through for an hour, he was unbelievably good spirited about it. 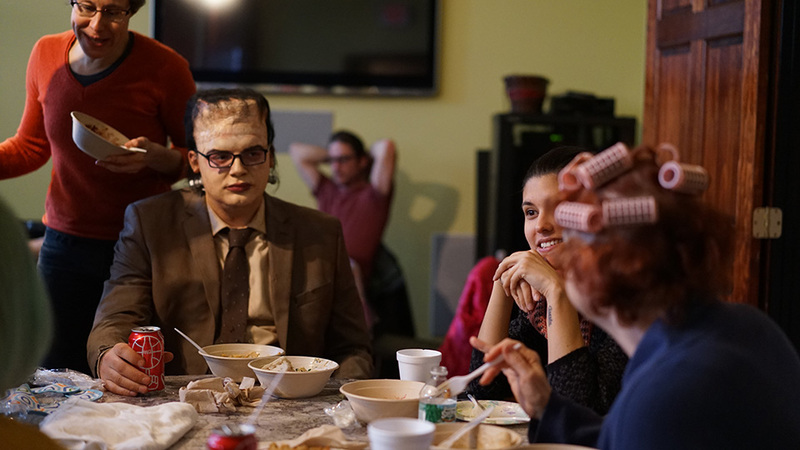 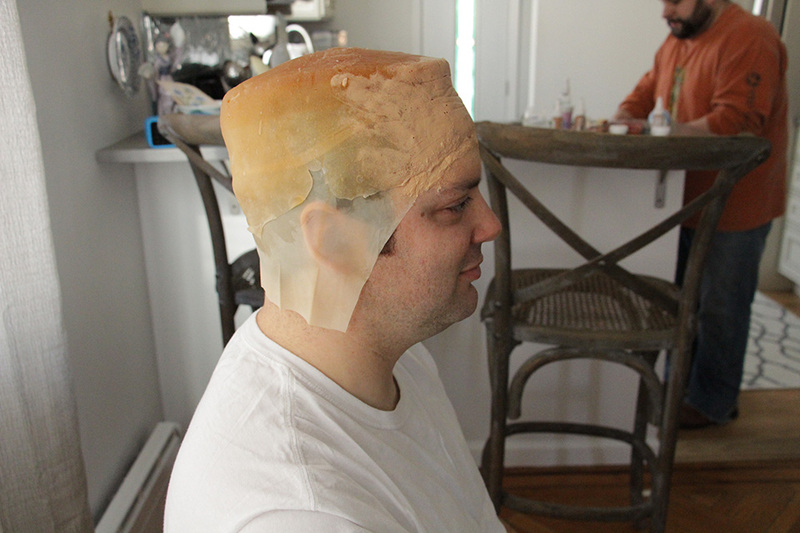 From the cast made using the mold, Anthony DiFolco began designing the prosthetic which would fit snugly on top of the cast of Mark’s head and eventually on top of Mark’s actual head. 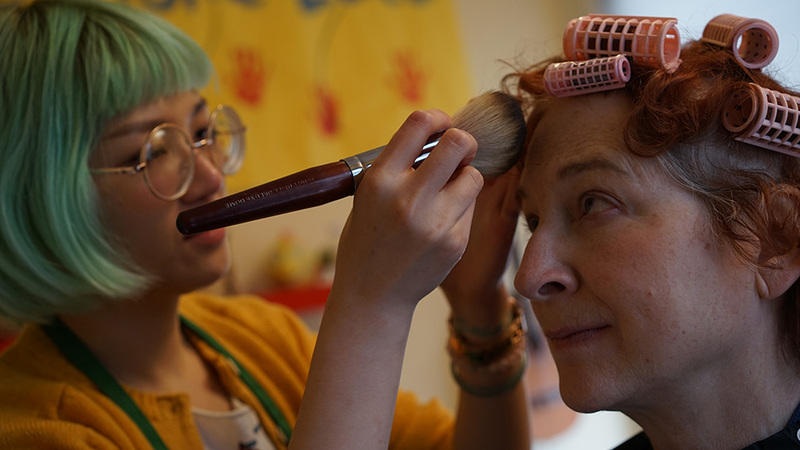 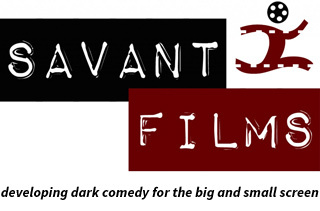 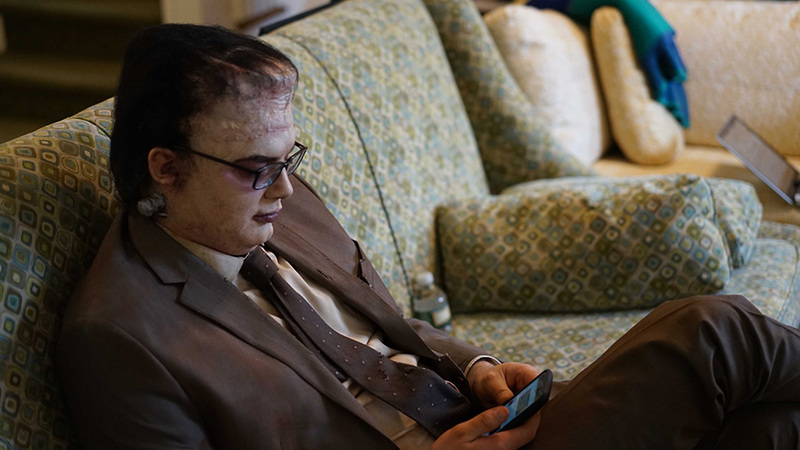 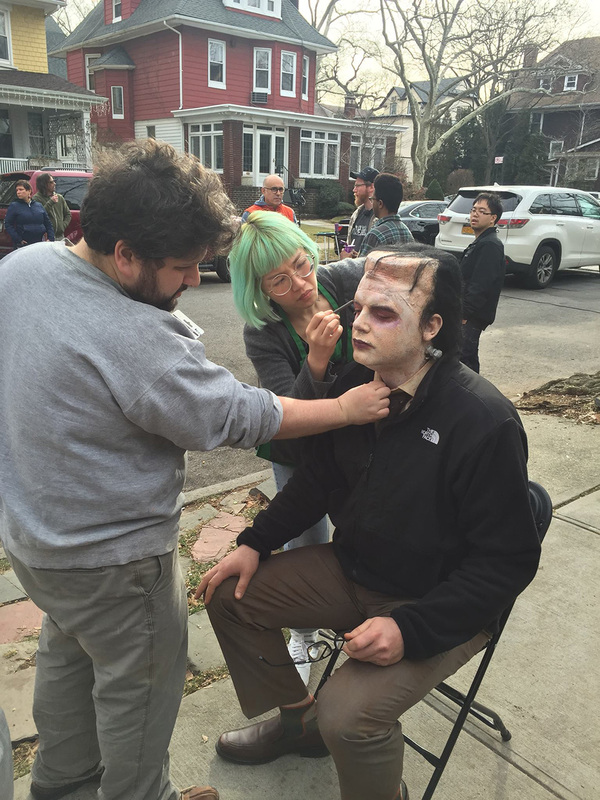 The process of applying the prosthetic and the monster makeup every morning would take two hours. 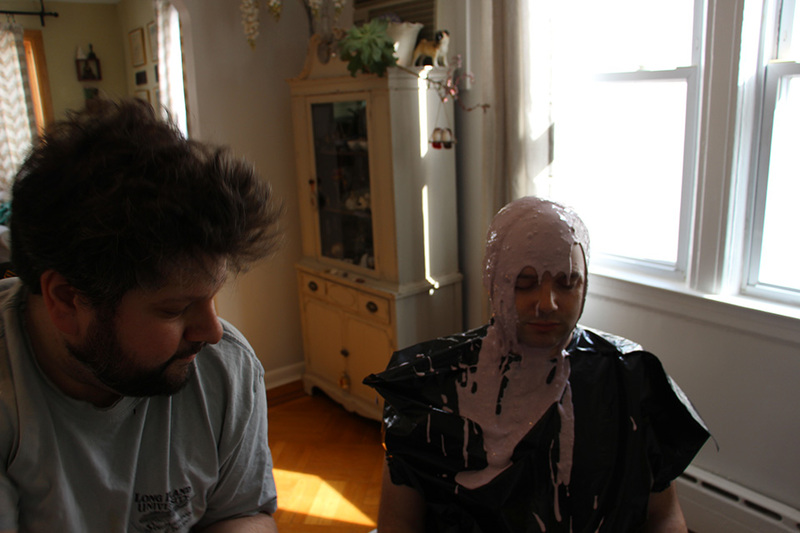 That meant, Mark was not able to take the hot, sweaty fake head off until we wrapped each day. 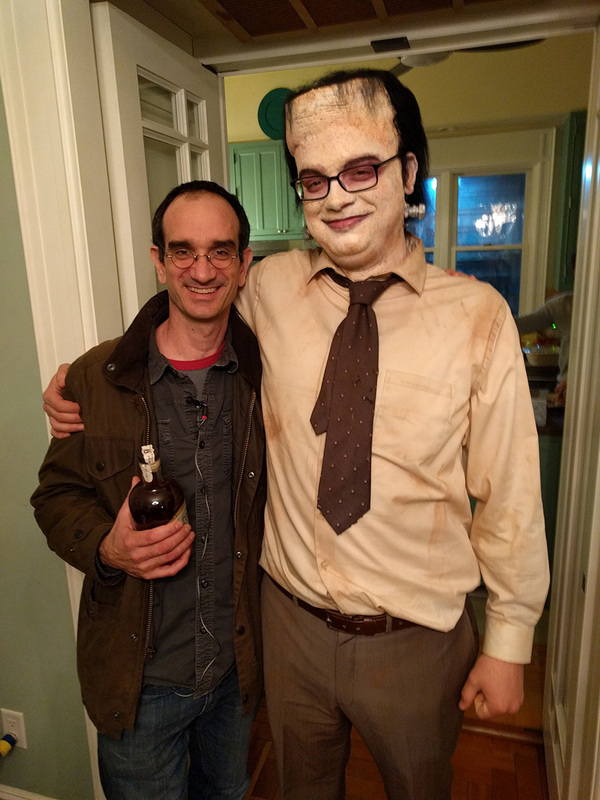 I asked him if he wanted to keep the prosthetic as a souvenir and he told me if he never saw the thing again it would be too soon.